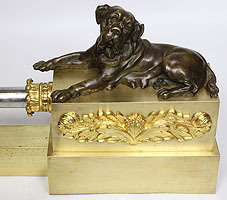 A Very Fine and Large English 19th Century Empire Style Gilt and Patinated Bronze and Steel Figural Fireplace Fender - Chenet. 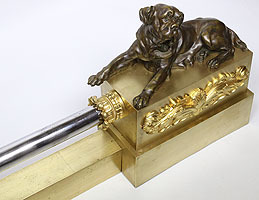 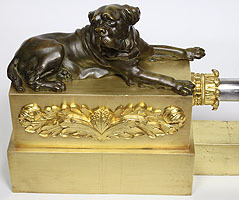 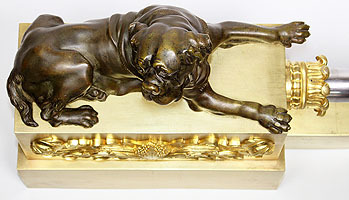 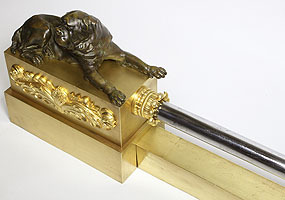 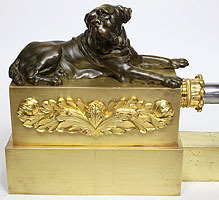 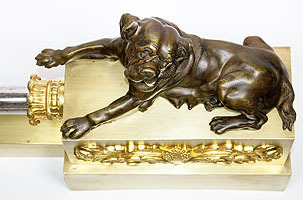 The beaufifully designed fender flanked on each end by resting Bullmastiff dogs on a patinated rectangular plinth surmounted with a finely chased ormolu floral mount, both ends conjoined by a center steel rod with ormolu end-caps and a scrolled center finail, all above a patinated bronze stretcher. 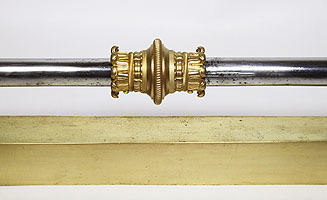 The width of the fender may be adjusted. 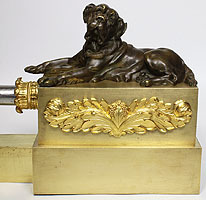 Circa: London, 1870-1880.